Provides one record for one person and with infinite history. Tracks a record from prospect to camper, staff, donor, parent, etc. All with one record and without duplicate data entry. Manage all your camp registration events with this component. It works for an individual registration as well as group/family registration where one person pays for all the charges. Other functions include finance, housing/grouping, transportation, and activity scheduling. Manage your fund raising functions, online giving, campaign management, relationship and volunteer tracking, contact management, and customizable receipt/thank you letters. The Medical App allows nurses to add, administer and dispense medications to campers. The app also tracks visits to the nurse by campers. Allows camps to check-in campers while making sure payment has been received, forms are complete, as well as taking payments for registration fees & camp store funds. Our real-time payment processing for credit cards and e-Checks is PCI Level 1 compliant. Credit card/e-Check info is not stored in the Campwise database. The Campwise Check-in App was a game changer for us. Check-in used to be the most stressful time of the camp experience. Now we check-in nearly 300 campers in 30 minutes or less while also taking care of all the necessary paperwork. Every week a parent comments that our check-in process is the best they have ever experienced. With the Campwise Medical App our nurses no longer have to work until midnight or longer on check-in days. Browser-based software creates a familiar, comfortable environment for users. Easy to learn navigation with extensive on-line help available. Ability to secure access to Campwise components and screens by user. Customizable Forms that provides you control of the data you collect. Ability to configure sessions, programs, facilities, forms, codes and more. Populate the extensive list of code tables with the data that is unique to your organization. Campwise comes with a set of standard reports that can be used as is or customized. Campwise Report Scheduler™ can be used to schedule reports that will run automatically at specified times. Backed by outstanding Campwise support. If you want to see Campwise in action we offer two types of demonstrations. Click the “Request Info/Demo” button to register for a one hour presentation of Campwise. 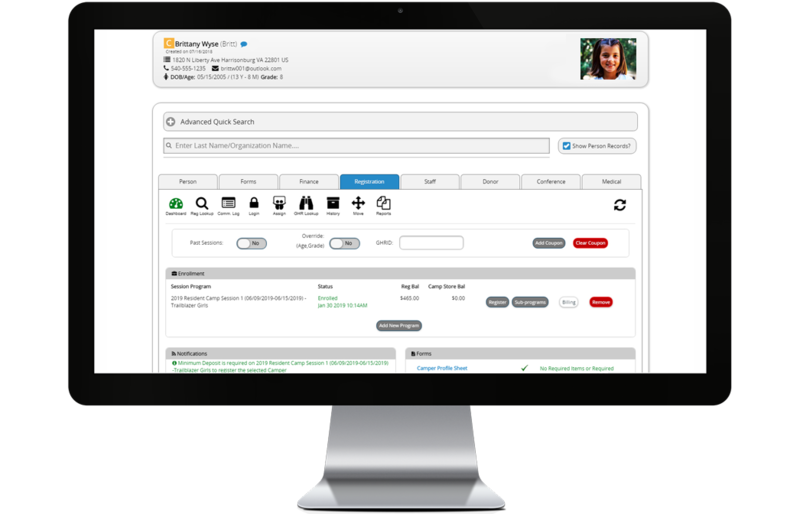 Or if you prefer a private in-depth demo for only your organization, call us at 866.297.7111 and ask to speak to a sales representative.